Education is all about reaching objectives. That’s the only thing teachers need to take into account when planning their lessons. A lot of teachers blindly follow textbooks and courses that roll of the belt. That’s fine, if that works for you. While you think they might save you time preparing lessons, textbooks feature a lot of learning materials that students don’t have to learn and that aren’t in the learning objectives. This means you’ll spend time teaching your students the wrong lesson content. The world is evolving very fast, and education should do too. There’s only one problem: it can’t. Textbooks are hard to keep up to date. It takes a few years to create a new textbook, and they don’t take into account current events. In the digital age, there must be a way to digitalise textbooks. And although some books are digital, often a digital book is just a book behind glass. That’s a pity, because you can do so much more with it! Providing textbooks and paper worksheets to every student comes with a huge cost as well. TIP: There’s a better way to add interactivity, to respond to current events, and to create digital learning materials that target the right learning objectives. Just create your own interactive eBooks for school. Create digital books, and adapt them to your students, with your own content. The possibilities of these eBooks are endless. 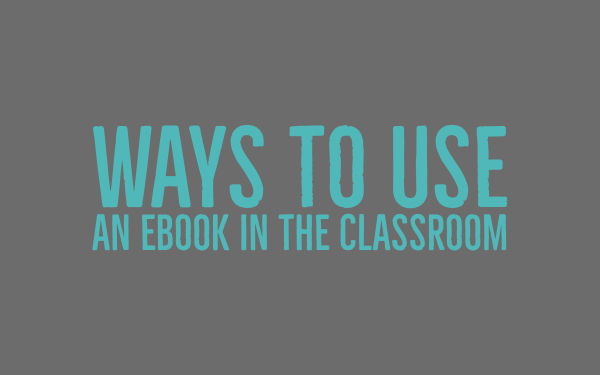 In this blog post, I’ll show you what those possibilities are, and what you can do with eBooks in the classroom. Of course, I’ll also show you how you can create your own eBook as a teacher, and what tools you should use for this. An eBook is an electronic book. In its most basic form, it’s a digital version of a book that can be read on a computer or another electronic device. Of course, eBooks do also exist without a printed equivalent. You could say that it is a book behind a screen. It’s possible to make an eBook more interactive. This option opens new doors to an interactive learning environment en motivated students. Keep on reading to find out how to do this! You can get lost easily in the universe of eBook tools. 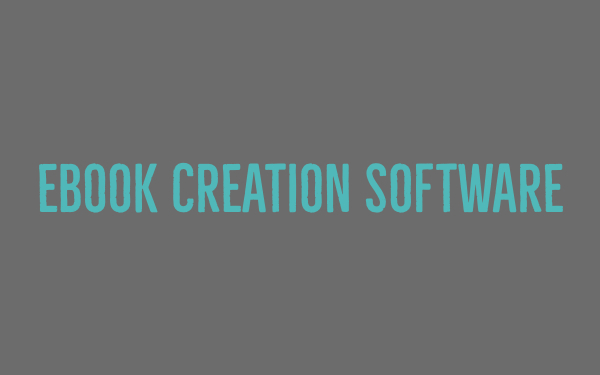 I’ll show you the eBook creation software you can use best to create your classroom eBooks. The ways to make an eBook mentioned above are great, but they have a few disadvantages as well. You can’t make them really interactive. You can insert links, but that’s basically it. Another disadvantage is that you have to format your eBook completely yourself. You have to be very creative to make it visually appealing to your students. That requires a lot of extra work. 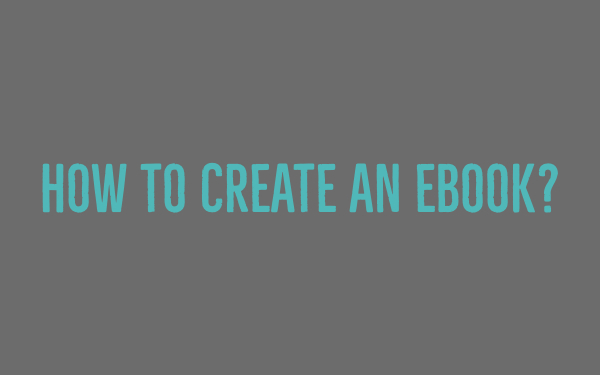 How to create an eBook? 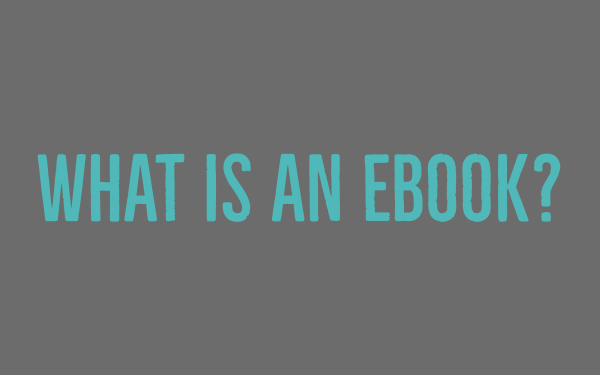 Choose the right template for your ebook design. This will be your guideline throughout the complete eBook course. Create a compelling eBook cover. In education this is most of the time the title of your course and, if needed, a specific part of that course. Add text and media to your book. Make it interactive with (Book)widgets! Preview your eBook course and publish your ebook when finished. Be careful when publishing your ebook as a teacher. If you’re selling your eBook on Amazon or somewhere else, you have to make sure everything in it to obey by the rules of copyright! There are tutorials on how you make your first eBook in iBooks Author and how to do it in Kotobee. How to make an eBook interactive with BookWidgets? 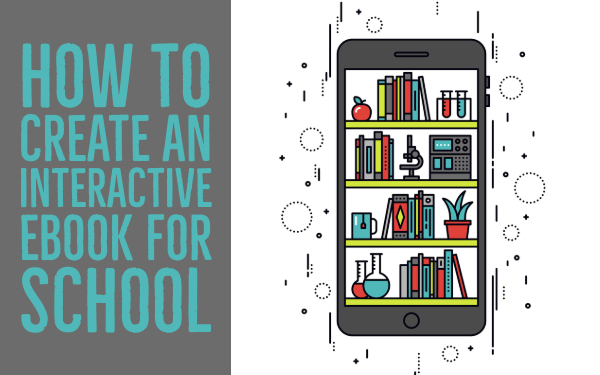 You don’t want to simply create a book behind glass: you want to create an interactive eBook with digital exercises that engage your students. That’s where BookWidgets comes in! With Bookwidgets, you can choose between over 40 interactive exercise templates (widgets) such as quizzes, crossword puzzles, flashcards, timelines, WebQuests and much more. 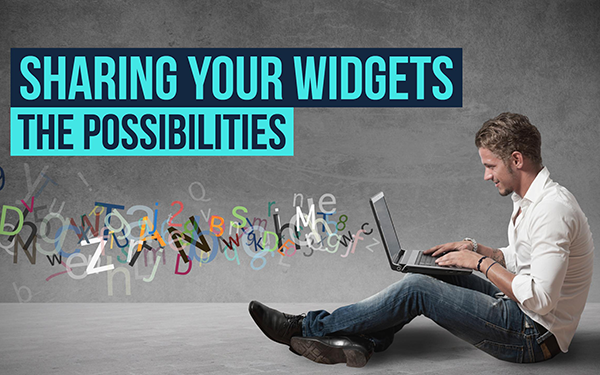 BookWidgets offers you the template, and you adapt it with your own content. The exercises are generated in minutes, and are very intuitive and interactive for your students. 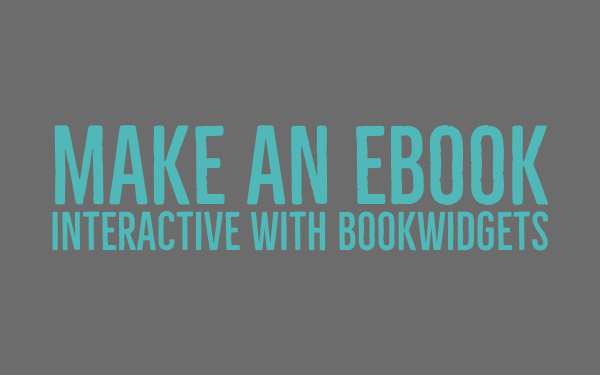 Download the widget you created with BookWidgets. Then drag and drop it into your iBook, and that’s it! When students read your iBook, they can instantly make the BookWidgets exercises you made for them. They can even submit their work for you to grade it and to give feedback. 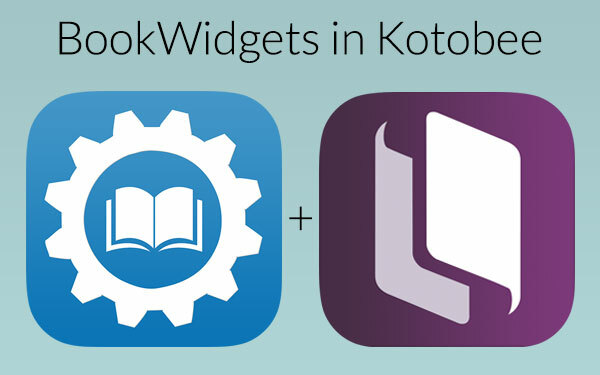 Drag and drop the widget into iBooks Author or import a popup widget in Kotobee. 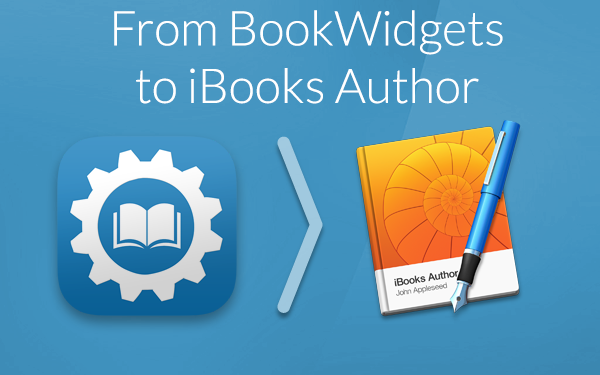 Here’s some extra info on how to use BookWidgets with iBooks Author. Make sure to check out the video so you know what BookWidgets is all about! If you are using Kotobee to create an eBook, here’s a handy blog post that will help you out. In a traditional classroom, the teacher speaks, and the students listen or fill out worksheets. When using interactive eBooks, that monotony can be easily broken. When using interactive eBooks, students can sometimes listen, sometimes read, sometimes watch videos, and sometimes focus on interactive exercises. Videos and interactive exercises in eBooks help to bring some learning concepts to life, giving them a context and providing a real-time experience to the students. Are you teaching history, biology, geography or any other course that features important visuals and processes? Using eBooks for these courses makes it possible to enlarge diagrams and images, so students get a better understanding. And you know, using colors in eBooks isn’t more expensive! When you’re teaching with eBooks, it’s easier for students to keep everything in a safe place. Let’s just say it’s harder to lose an eBook than than a paper course or worksheet. Build a digital library so that students can find information or support on the subject being taught. Finding a little bit more explanation is just a few clicks away. Having everything in one place makes it less likely that the necessary learning tools will be left in the locker. Interactive eBooks have the possibility to incorporate video and audio text, which allows students to repeatedly listen to the words they don’t understand and learn the correct pronunciation. Students can also right-click on the word and look up their synonyms or meanings in the dictionary! Some tools that are easy to use in eBooks, such as BookWidgets, allow you to create the perfect feedback loop. Interactive exercises can be automatically graded. The student can make exercises in the eBook and the teacher receives the student’s work. The teacher has the possibility to give instant feedback and send it back to the student. This means that the student can improve his learning process much faster than the old fashioned way. Every student learns in a different way, and some students have special needs as well. The eBook has a few important options that can help your students: eBooks allow the student to take notes and highlight right in the text, use the search function to find relevant information in the book, access learning aids and applications, take advantage of the text-to-speak function, and adjust font size and screen brightness. As you’ve noticed, an eBook has it all. It can be a combination of text, video, audio, images and much more. With all those things in one place, it’s considered the perfect tool to let students discover things at their own pace, independently. Let them read a text or watch a video, and ask them questions about it in an interactive exercise. Combine theory with practice, and give feedback where necessary. 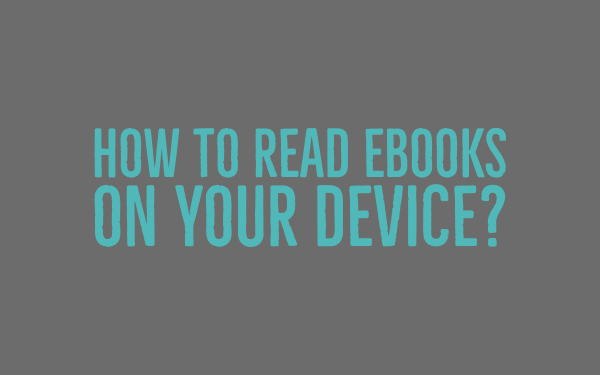 How to read eBooks on your device? If you want to read an eBook created in iBooks author, you must read it on an Apple device via the iBooks app. iBooks is a library that will contain all your downloaded and saved eBooks. Sadly, you can’t read an iBook on a Windows device or a chromebook. Just make sure your computer or tablet can read or view a PDF file, as most eBooks are still PDFs. Here, you can find a list of good PDF eReaders. Lots of eBooks are published as ePub files. You can read ePub files in iBooks as well, but if you’re looking for something else, you can take a look at this ePub reader for Mac. And here’s an ePub reader for Windows. To read Kindle books, use Amazon’s free eBooks reader. You can use this, whether you use Amazon or not. After reading this, I hope you can make a decision on what eBook app works best for you and how you can create you own eBook courses. You know now some free ebook creation tools and some ebook tools that allow you to make ebooks interactive. You also know the best ebook reader apps that will work on your devices. Share this article with your colleagues if you think this might help them as well!